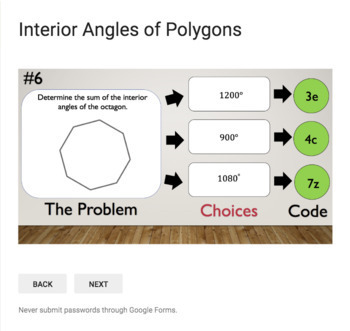 Identifying Irregular Polygons – Bad Dog Breakout for Google Classroom! 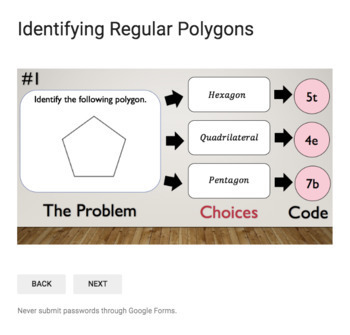 Identifying Regular Polygons – Bad Dog Breakout for Google Classroom! Interior Angle Measures of Polygons – Bad Dog Breakout for Google Classroom! 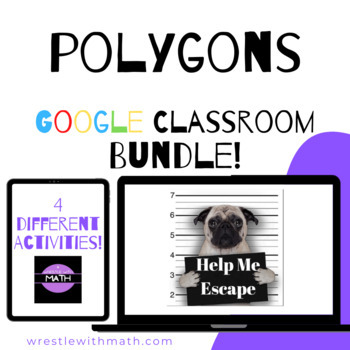 This bundle includes 4 different polygon activities. For each activity students are first required to complete ten different polygon problems (see preview). 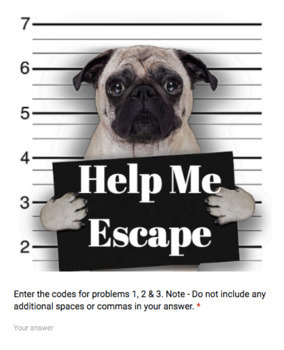 Each correct answer provides a piece of a code that is eventually used to help Louie the Pug break out of jail. The Google breakout form is included with this purchase. Your kids will love this activity especially if there is a prize involved for successfully breaking Louie out! This purchase includes an optional code recording worksheet for your students to record their answers. I personally use these activity as part of a middle school polygons unit of study.